107 years ago today the Great San Francisco Earthquake and Fire occurred. As we commemorate this significant San Francisco anniversary, this post from the archives shares a story about how San Francisco Department of Health historical documents about the 1906 earthquake and fire recovery were discovered and preserved. As we commemorate the 1906 Earthquake and Fire, which took place at 5:12 a.m. 106 years ago today, we have a special DEM Blog written by the DEM Emergency Medical Services Administrator, Stephen LaPlante, sharing his personal story about finding a nugget of 1906 San Francisco Earthquake and Fire history. It was a chilly San Francisco spring night in 1993. 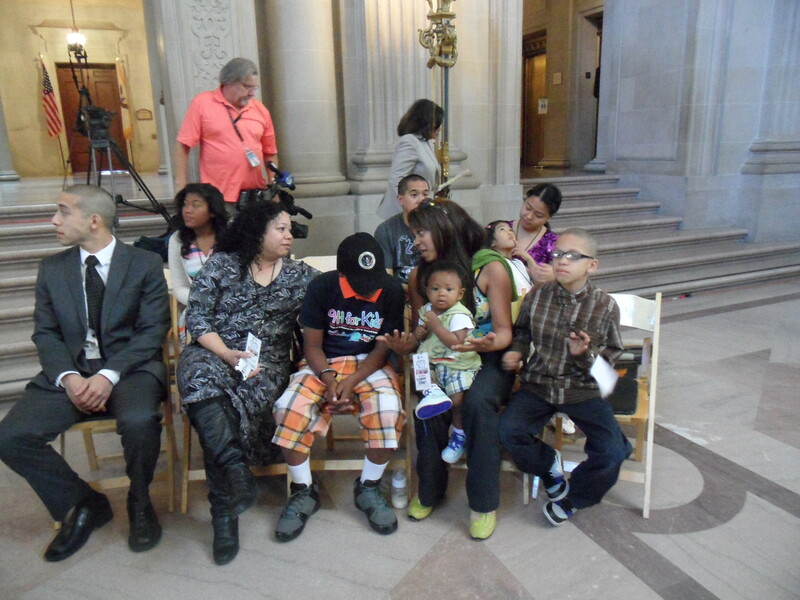 I was, among other things, the Building Superintendent of the San Francisco Department of Public Health (DPH) Central Office. I had issued a contract for asbestos removal the following day in a long forgotten basement storeroom. The room was filled with decades of payroll records for Laguna Honda Hospital. However, my gut told me that there were possibly other historically significant documents in the room. Every year DEM and the 9-1-1 for Kids Public Education campaign partner to recognize and honor children who called 9-1-1 to save a loved one’s life, and the dispatcher who helped them. 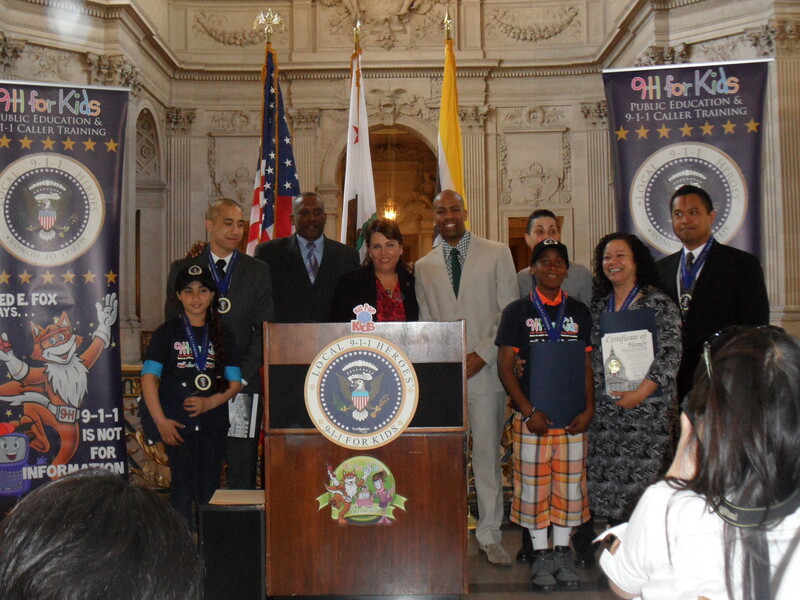 This year, the 9-1-1 for Kids Local Heroes Award ceremony took place April 10th at a ceremony in San Francisco City Hall. Listed below are the stories of these courageous children and the dedicated San Francisco DEM Public Safety Dispatcher (PSD) who helped them. “She has a really bad headache and not really talking to us and she is breathing a little bit,” said ten-year-old Tala Rahal in-between sobs. As the oldest of three children, Tala had to be there for her siblings and her mom. October 25th at 8:25 PM ten year old Tala Rahal called 9-1-1 requesting a medical response for her mother who was having a severe headache, semi conscious and shallow breathing. Tala’s call for help was answered by Public Safety Dispatcher Edgar Velasco. Throughout their contact Edgar provided assistance and compassion to her and her two younger siblings. Edgar gave assurances that help was on the way and reminded Tala that she was doing a great job helping her mother. Together Edgar and Tala worked to help get her mother the help she needed. “The ceiling just fell on my mom and I’m really scared,” eleven-year-old Kieontay told 9-1-1. “Just me and my baby brother are here.” As frightened as Kieontay was he had to take care of his mom and his four-month-old brother. On September 30th at 6:49 PM eleven year old Kieontay Brown called 9-1-1 requesting an ambulance for his mother who was unconscious after being hit on the head by a falling object. 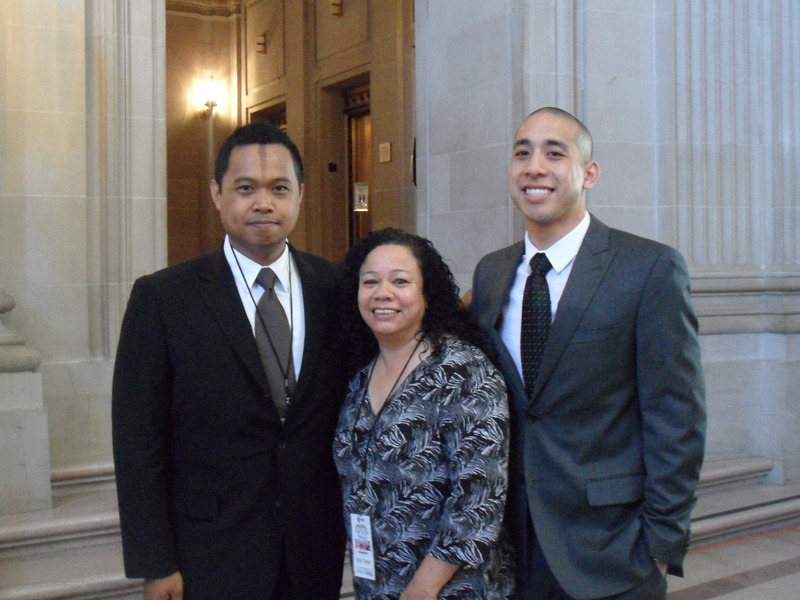 Kieontay’s 9-1-1 call was answered by Public Safety Dispatcher Kim Tuyay. During their call Kim provided medical instruction, assistance, and most importantly comfort and reassurance to Kieontay. Together Kim and Kieontay worked to get medical assistance to his mother, who fully recovered from her injuries. PSD Kim Tuyay speaking with the family she assisted. “Grandpa is having a little bit of asthma or something,” said a ten-year-old boy. “His palms are sweaty.” Grandpa was actually having a heart attack and the young boy was only person in the house that spoke English. On March 4th at 6:25 PM Public Safety Dispatcher Patrizia Marcucci received a call from a ten year old boy named Jason who called 9-1-1 to report his grandfather was having an asthma attack. During this call Patrizia provided Jason medical instruction, assistance, and most importantly comfort and reassurance. There was an added level of difficulty for Patrizia because Jason was translating for adults who spoke only Chinese. Even under these difficult circumstances, Patrizia and Jason worked collaboratively to get medical assistance to Jason’s grandfather. 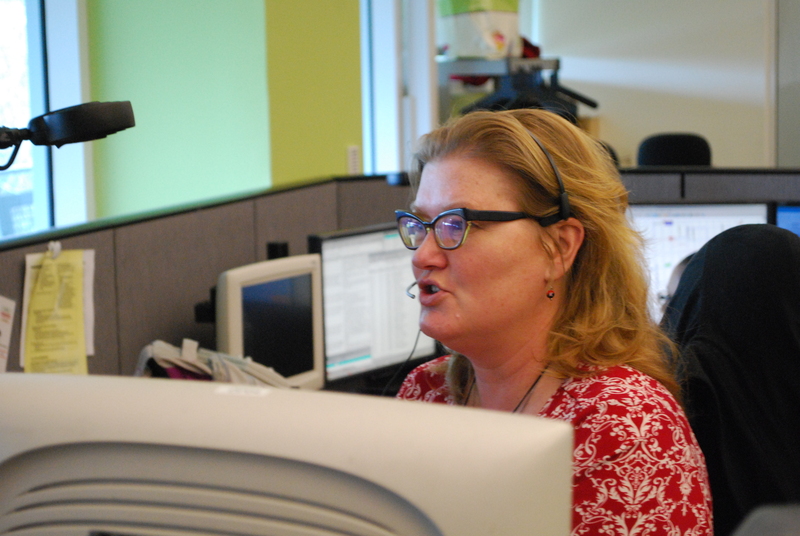 Patrizia has been a dispatcher with the City and County of San Francisco for seven years. 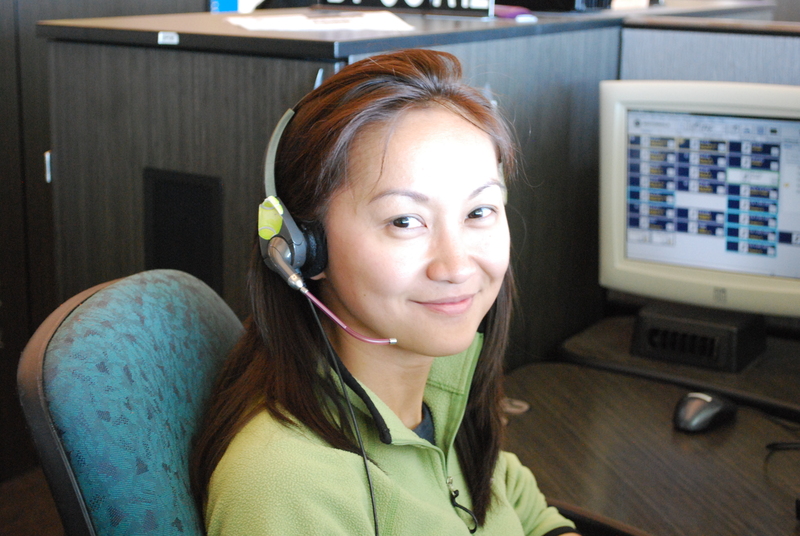 When asked what she finds to be the biggest challenge of being a dispatcher, she says “It is the unknown. We don’t get to hear or see the final outcome to most of our calls. We just move on to the next call/emergency without never really having any resolution or closure.” With the 9-1-1 for Kids “Heroes” Awards, however, this is a special chance for dispatchers to reconnect and ‘meet’ the voice at the other end of the line. “She’s feeling really tired and in a lot of pain,” said a fourteen-year-old girl. “I think she might be falling sleep.” The teen wasn’t sure what was happening but she knew her mom needed help. On September 11th at 4:57 PM Public Safety Dispatcher Dan Nguyen received a call from a 14 year old girl saying she needed medical help for her mother. Dan quickly verified her address and phone number and provided her with medical instructions. Dan stayed on the line with the young girl and kept reassuring her that help was on the way. Dan’s compassionate tone and demeanor during this call helped the caller remain calm and provide assistance to her mother. When asked what is the most important thing to keep in mind when assisting a child seeking assistance from a 9-1-1 dispatcher, Dan says to “to make sure the child knows to keep the dispatcher updated with any major changes that may occur while we were on the phone.” In this case, the most important information Dan wanted to know was if her mother was still breathing. Public Safety Dispatcher Corinina “Cori” Cruz was selected by her colleagues as Dispatcher of the Year for her heroic efforts while working the police radio channel during a call for dispatch from a father who reported his son was suicidal, armed with a gun, and driving a stolen vehicle. When officers arrived on scene they saw the suspect leaving the area in a vehicle. The officers began following the vehicle and soon after the suspect fired his weapon and a police chase ensued on city streets, taking the freeway, and eventually ending on Treasure Island. 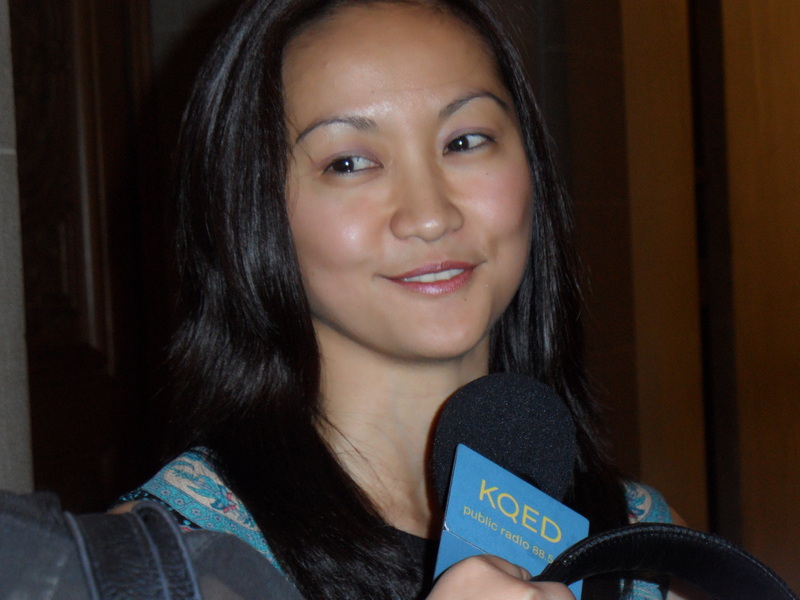 Cori Cruz at work in the San Francisco DEM Dispatch center. During the chase the armed subject held a gun to his head while driving. He exited the vehicle on Treasure Island, and continued to pose a threat to police officers and himself. A hostage negotiator was summoned to the scene. Following numerous hours of negotiations the armed subject shot himself ending his own life. This was a very volatile incident that had potential risk to the lives of many. Cori handled every aspect of this event professionally, while remaining calm and poised during this unstable and unpredictable scene, coordinating the responses of more than 40 San Francisco Police Officers. Cori is cool, calm and professional as a dispatcher. However, in between calls we see a person that is caring, humble, and soft spoken. 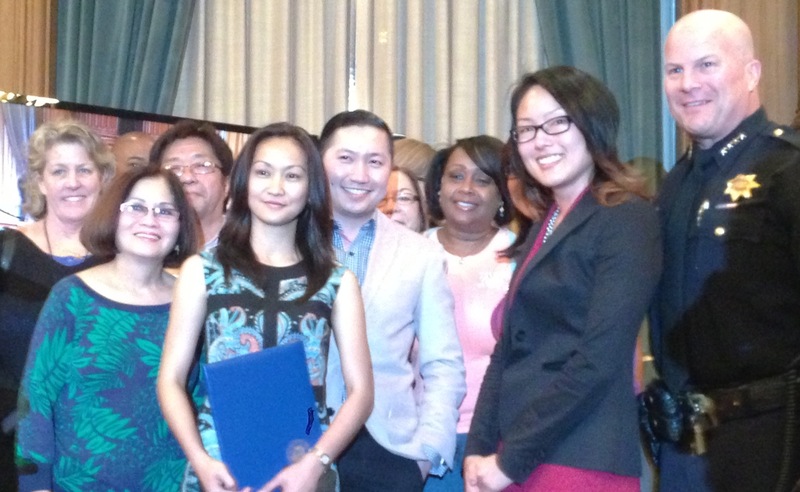 When asked about her award she defers to her colleagues and how it was truly a team effort. She is quick to point out that her fellow dispatchers and her supervisors all pitched in by coordinating the additional resources needed as she was busy on the radio. 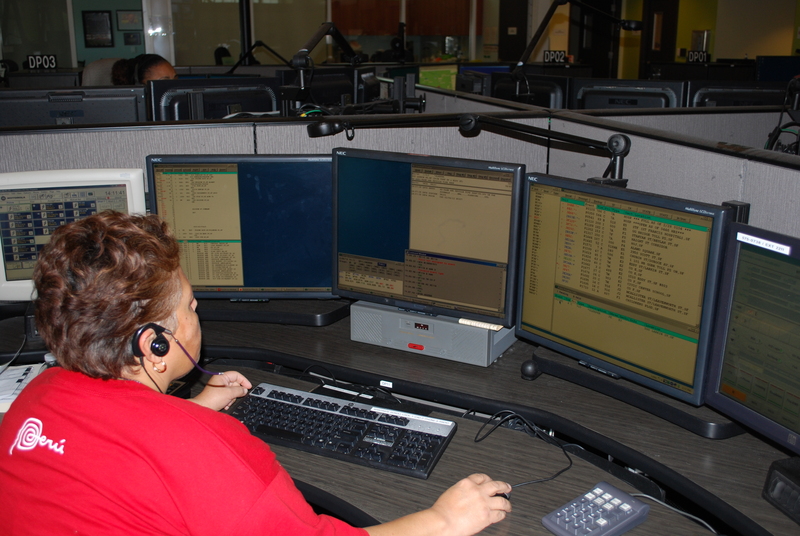 Like nurses, police officers and firefighters, there is a dispatcher on duty 24/7. Cori often misses family gatherings and nights with friends because she’s on duty protecting the people of San Francisco. Cori is quick to point out that all dispatchers make this sacrifice and she is no different. Cori’s professionalism and her personality endear her to her colleagues. 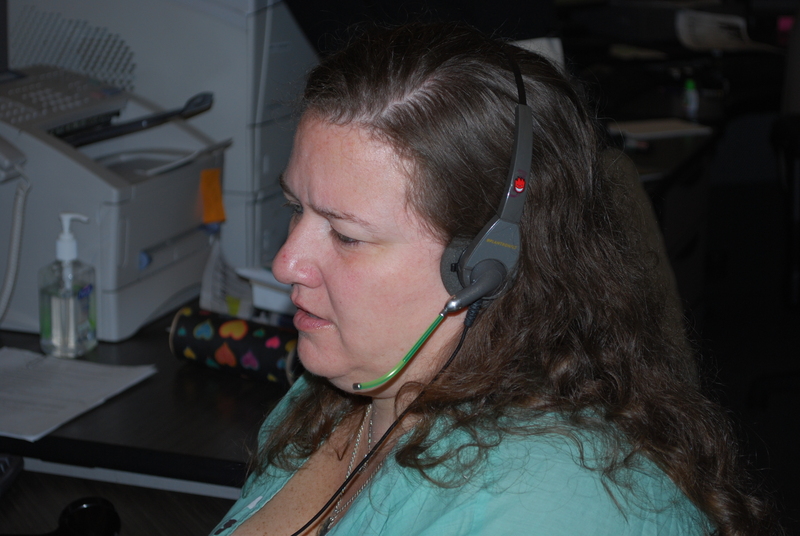 Whenever she is on the phone she is the first voice of reassurance people hear when they call 9-1-1. On the radio, she calmly coordinates her fellow first responders so they and the public stay safe. 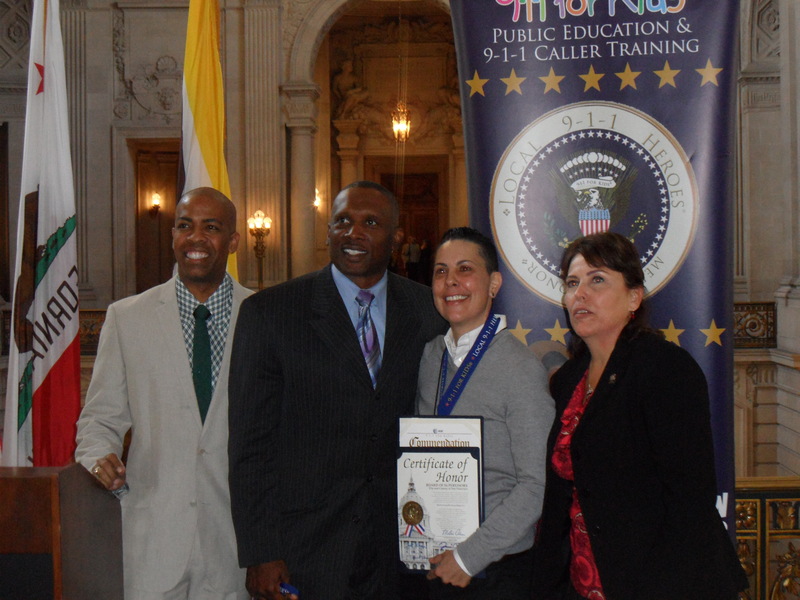 Corinina Cruz is a credit to her fellow dispatchers and is one of our everyday heroes that keep San Francisco safe. 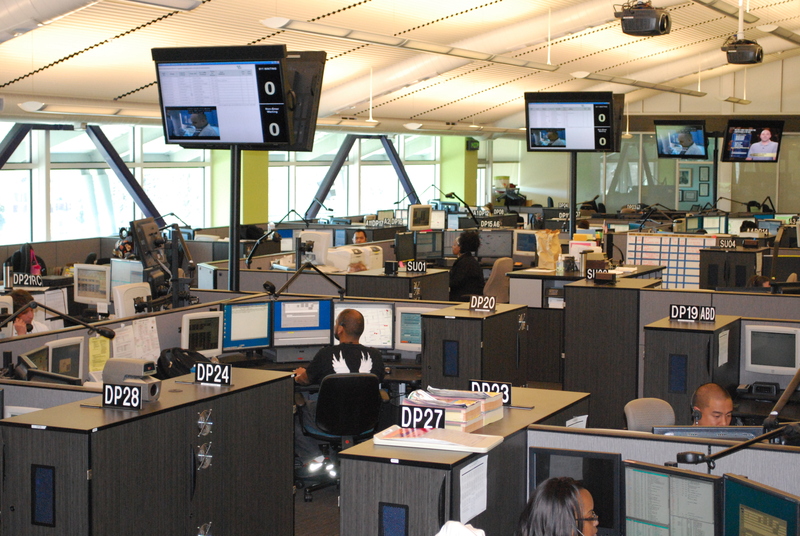 As National Public Safety Telecommunicators Week continues, we want to highlight the extraordinary work conducted by our 9-1-1 dispatchers throughout 2012. And tomorrow, look for a recap blog of the Dispatcher of the Year Award (who was selected from one of the 2012 DEM 9-1-1 Dispatchers of the Month, listed below). On December 10, 2011 there was a multi-residential structure fire on Ellis Street. Residents were instructed to stay in their apartments as San Francisco fire fighters worked to extinguish the fire. Many calls were made to 9-1-1 dispatch but one call was made by a panic-stricken woman whose apartment was filling with smoke. Jasmine Pomery received this call and reassured the woman that help was on the way and gave firm instructions to stay in her apartment. For nearly 18 minutes, Jasmine provided clear, consistent and comforting words to keep the caller calm until help arrived. While working the radio channel, Megan Wu dispatched police to a female caller who reported a man tried to pull her into his vehicle after asking him for directions. Although the assailant stole her computer, the caller was able to escape unharmed. While Megan worked with police on the radio channel, street officers were able to spot the assailant’s vehicle and began pursuit. The driver of the vehicle led police on a multi-district, high-speed chase that lasted nearly 14 minutes. During the pursuit several accidents occurred, including a police officer hitting a parked vehicle, and the assailant hitting a pedestrian in a wheelchair and a moving vehicle. The subject fled from his vehicle on foot. Soon after, he was apprehended by police without further incident. Megan handled these series accidents by opening up citywide channels all the while maintaining control of radio traffic and keeping abreast of the constantly changing locations. Her calm and controlled demeanor maintained order and helped the officers involved remain safe. Dawn Mahoney received a call reporting that an elderly female was unconscious and not breathing. Dawn wasted no time and arranged for medical assistance to go to the scene. Then Dawn told the caller to move the unconscious woman to the floor and provided detailed instructions to conduct CPR. At the beginning of the call the patient was not breathing, but soon after Dawn’s life saving instructions she regained consciousness and soon could be heard in the background talking. Because of Dawn’s clear, concise and methodical instructions, the elderly woman’s life was saved. On February 22, 2012 Ron Davis received a call from a distraught female whose primary language was not English. Working through the language barrier, Ron was able to ascertain the caller’s location, telephone number and that she was calling on behalf of her mother who was not breathing. 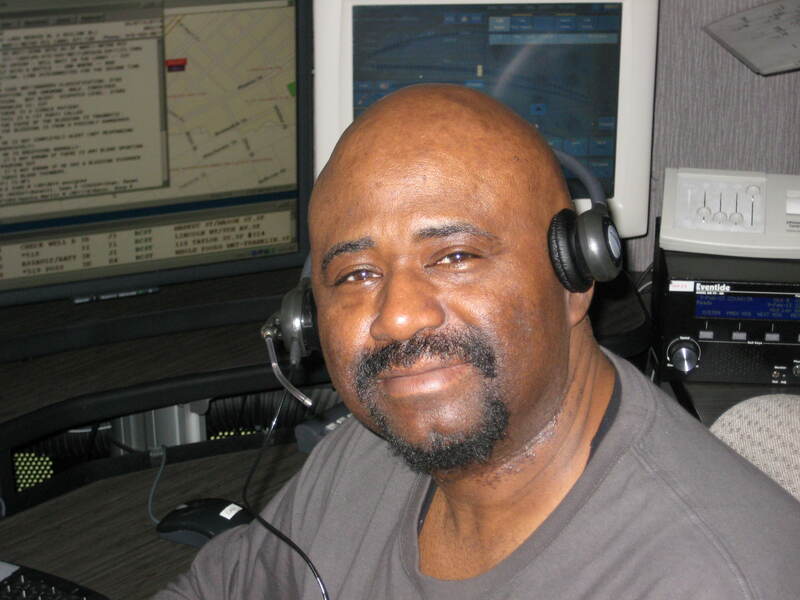 Ron was able to provide clear instructions to administer CPR on the panic-stricken caller’s mother and Ron remained on the line until paramedics arrived. On March 23, 2012 Estela Moran received a California Highway Patrol transfer call reporting three to four deceased individuals in a nearby residence. Upon entry into the residence the caller reported that there were several people dead in the home, with signs indicating that a violent criminal act had taken place. This event is being described as one of the worst criminal acts in San Francisco history and Estella conducted herself in a focused and professional manner to allow for appropriate dispatch of resources to the scene. While monitoring a police radio channel, Karen Guevara heard a police officer report shots being fired at police officers in the area of Post and Leavenworth Streets. It was determined that the subject was suspected of murdering his mother and escaping in her vehicle. This case immediately became a critical incident as the suspect continued to fire his weapon at police officers. He also sprayed an unknown chemical into the building he was occupying and started numerous small fires to deter police officers. The magnitude of this incident was immense; nonetheless Karen remained calm, collected and professional. She echoed officers when it was appropriate and stayed off the air when the situation warranted it. This was a highly stressful and volatile incident for all responders. But with much precision and calculation the incident was brought to a close, and the suspect was apprehended with no injuries to the public. On May 28, 2012 Marianne Gaviola received a call from a young child reporting that his mother was having a baby. Marianne quickly obtained the address, telephone number, the patient’s age and her breathing status. Very early in the call the child reported that the baby was crowning, at which time the child became very anxious and pleaded with Marianne “to hurry.” As Marianne dispatched paramedics to the scene, the child reported that the baby had been delivered. When asking to speak to an adult, the child told Marianne he was the only one in the household who spoke English. Marianne continued to give instructions while having the child translate–all the while keeping him calm and reassured that help was on the way. On August 27, 2012 Janet Atchan received call reporting an armed robbery. Within moments, officers reported seeing the suspect fleeing the scene and Janet arranged for numerous units to respond. The scene escalated with shots fired, and an officer down. Things became very hectic; nevertheless, Janet remained focused and immediately updated field units as information became available. Janet remained poised and controlled, while relaying necessary information as she made certain that the injured officer received medical assistance. On September 9, 2012 Frances Rohwer received a call from a U.S. Park Ranger dispatch requesting that the San Francisco Police Department assist with an aggressive homeless person. Once police arrived on scene it was determined that the suspect had assaulted the Park Ranger and was armed with some type of weapon. The suspect fled into a heavy brush area of the park and once police made contact with him he became more aggressive and resisted arrest. Because of the heavy brush, the officer had a difficult time providing the exact location for back-up to respond to, which created chaos and uncertainties. Regardless, Frances maintained composed and controlled the radio traffic while keeping track of who was responding and from what part of the City. Josu-Garmendia-Irastorza received the honor of Dispatcher of the Month for his ever consistent reliability and positive and productive contributions to the DEM 9-1-1 dispatcher community. He is a strong and reliable member of the department and he consistently demonstrates a high level of initiative and problem solving solutions. On November 26, 2012 Corinina Cruz received a call from a father reporting his son was suicidal, armed with a gun and driving a stolen vehicle. As the officers arrived on scene they could see the subject leaving in a vehicle. The officers followed the vehicle and soon after the subject fired his weapon. The chase began on city streets, taking the freeway and eventually ending on Treasure Island. The armed subject held a gun to his head during the chase and eventually exited onto Treasure Island where he continued to pose threats to police officers and himself. A hostage negotiator was summoned to the scene. Following numerous hours of negotiations the subject ended his own life. This was a very volatile incident that had potential risk to the lives of many. Corinina handled every aspect professionally, while remaining calm and poised during this unstable and unpredictable scene. People often call 9-1-1 during chaotic and unpredictable situations. On the other end of the line they find a cool and calm voice of reassurance ready to help them. This week is National Public Safety Telecommunicators Week, a week dedicated to recognizing the life saving work 9-1-1 dispatchers do every day, every hour of the day. 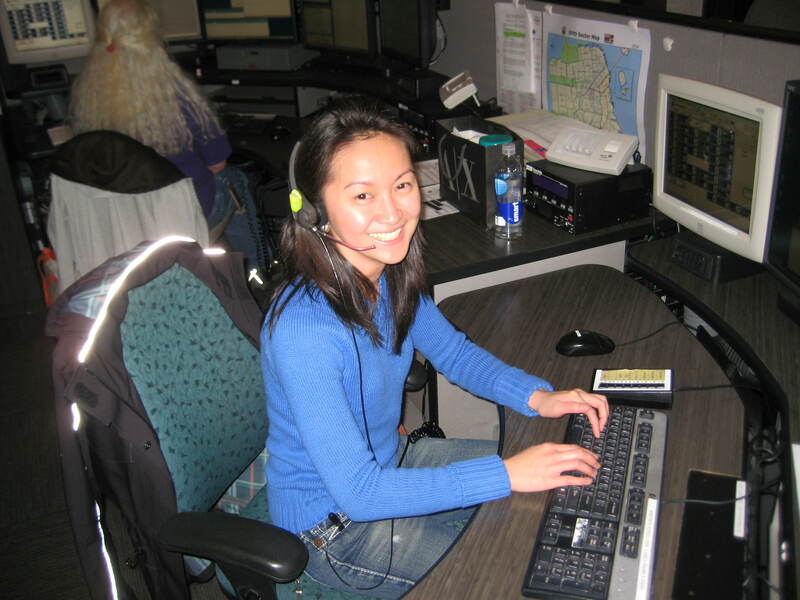 San Francisco’s 9-1-1 Dispatchers make up DEM’s Division of Emergency Communications and they work tirelessly, quickly and calmly to assess an emergency situation and deploy police, fire, or medial professionals to the scene. Dispatchers also provide medical instruction. They are the ones who first take the call from the person in crisis, and often deliver life-saving instructions, such as CPR or delivery of a baby. They are also a vital part of the team with police and fire, gathering and relaying critical information that keeps our officers safe in the field. They are San Francisco’s first, first responders. 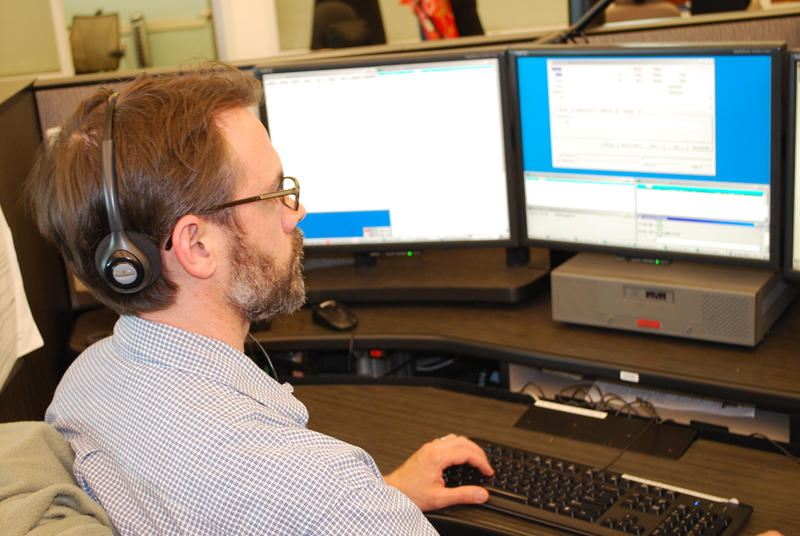 We are incredibly proud of our dispatchers, and the work they do every day to help those experiencing an emergency. They are San Francisco Heroes! During this National Public Safety Telecommunicators Week, DEM will honor our dispatchers who have done extraordinary work for those who live and work in San Francisco. (Honorees were selected by their fellow dispatchers for extraordinary performance while answering or dispatching emergency services). A yearly award given to the DEM dispatcher who exhibited extraordinary decision making and guidance during particularly high-stress emergency situations. A yearly awards ceremony recognizing children who called 9-1-1 to assist a family member in crisis, and the dispatcher who guided the child and managed the emergency until responders arrived on scene. An award determined by line staff members who recognize supervisors for quality of leadership, approachable style, supportive nature, and exceptional knowledge of dispatch operations.